*New for 2018-2019 . 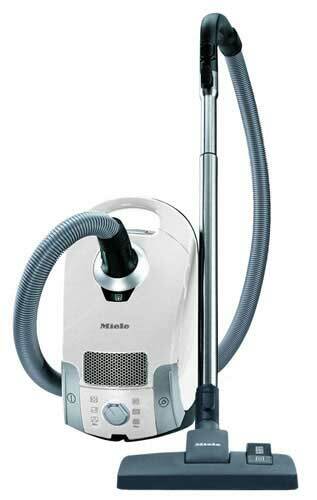 The Miele Compact C1 Pure Suction is Miele’s least expensive canister vacuum, with high quality features. It is extremely lightweight, weighing only 11 lbs. Miele vacuums are extremely quiet compared to other canisters (they are sound insulated) and are German engineered to outlast other vacuums. The Super Air Clean Filter outputs air cleaner than the air it takes in, with the option to add a HEPA filter for even more filtering. This keeps the dust and dirt in the bag and out of the air you breathe. Great for allergy sufferers. A rotary dial adjusts the suction power with 6 power settings to meet your needs, and even has a quiet setting. You can easily rewind the retractable cord by stepping on a switch on the back of the canister. The carrying handle makes it easy to carry the vacuum up and down the stairs. Miele VarioClip allows for On Hose Tool Storage. Crush proof hose adds durability. The telescoping wands are made of stainless steel, made for long-term usage. Tools Include: a crevice nozzle, dusting brush and upholstery tool. Also included is the SBD 285-3 Floor Tool which is ideal for bare floors, hardwood floors, tile, and low pile carpets. Easy maneuvering rubber wheels rotate 360-degrees and protect floors. Miele’s Air Clean System: consists of an Air Clean FilterBag and an Air Clean Filter which keeps the air clean as you vacuum. The Compact C1 Pure Suction has a total reach of 29 1/2 feet (21 foot electrical cord) so you can vacuum longer without switching outlets. The Miele Pure Suction uses Self Sealing Dust Bags with a generous 3.7 quart capacity (FJM AirClean 3D Efficiency Bags). The Miele Type GN bags have a 9-stage filtration system and self-locking Auto-Seal collar so dirt stays in the bag and does not leak out. The Bag Full indicator, lets you know when to change the dust bag. 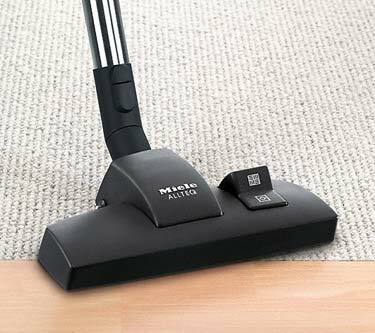 Miele Vacuums are tested to last 20 years and include a 7 Year Motor Warranty. A Miele canister will outlast many cheaper models, even though the Miele is more expensive initially. Electrical Cord Length: 21 feet (total reach 29 1/2 feet). Vacuum Warranty: 1-year limited warranty vacuum parts and labor. 7-year motor warranty. Smart-Review Commentary: The Miele Compact C1 Pure Suction is Miele’s least expensive, but highly rated canister vacuums. 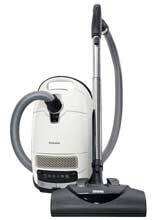 The Air Clean dust bags used on this vacuum have a 9 stage filter, ideal for those sensitive to dust. A new pre-motor filter and Super Air Clean Exhaust Filter are included in every box of Miele dust bags. Rubber wheels will not scratch your hardwood floors. The bags have a large 3.7 quart capacity, so you won’t have to change them as frequently. The self sealing bags are designed so that you won’t have to be exposed to the dirt, just throw the bag away in the trash. You can upgrade this vacuum with the optional HEPA filter (listed below). The Miele Pure Suction has received the Good Housekeeping seal of approval. Its telescoping wand is made of stainless steel (cheaper vacs are made of aluminum). 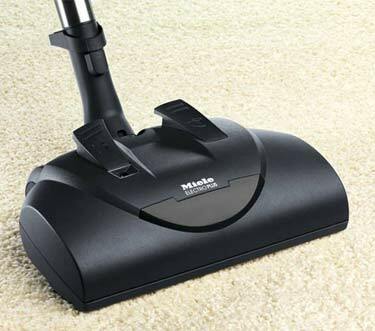 The durability of this vacuum is excellent, as all Miele vacuums are tested to last 20 years. Its telescoping wand and hose gives you a long reach to clean stairs, walls, drapes, and ceilings. 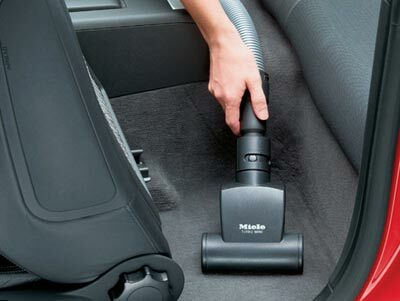 Miele vacuums are known for keeping the air cleaner than other brands of vacuums. This model has received extremely high marks from professional reviews as well as outstanding reviews by consumers. This model is a Smart-Review top pick for Canister vacuums primarily used for hardwood floors, tile, bare floors, and low pile carpets.